A small selection of books that many teachers don’t always come across. Some are old, others quite new, but they are all full of snippets of interesting stuff. I thought I’d begin with the oldest. This classic text from the UK’s first ever Professor of child psychiatry, Sir Michael Rutter, was first published in 1979 (I picked up a second-hand 1994 edition for a very reasonable price) but still packs a punch in terms of its astonishing research credentials. The title represents the average number of hour’s children spent in school at the time and followed the progress of over 2000 pupils from twelve secondary schools in inner London throughout their entire secondary education. The study collected data from areas including attendance, exam results, behaviour in school and ‘delinquency’ outside school, identifying patterns of progress that could be viewed from a longitudinal perspective and compared between schools and between different groups of pupils within schools. While many of the schools served areas of chronic disadvantage, the study highlighted how many served as a positive influence on pupils in terms of their development, thus proving an environment that was capable of nurturing resilience and longer-term academic success. This is a fascinating read and as relevant today as it was at the time of its first publication. Before ‘Mindsets’ there was ‘Self-Theories’, documenting in detail the studies that led to Dweck’s influential take on implicit theories of intelligence. Although the theory has taken a bit of pasting recently (most notably from Dweck herself), going back to the original research will hopefully allow educators to view it in a more favourable light. Blakemore’s work into the teenage brain has moved on considerably since the publication of The Learning Brain but it still provides fascinating insights into the often-unfathomable world of neuroscience. Along with Uta Frith, a veritable giant of developmental psychology and cognitive neuroscience, Blakemore has produced a highly readable account of a highly complex subject. With chapters on literacy, numeracy and the complexities of learning and memory, the authors discuss how the brain attempts to make sense of the learning environment. 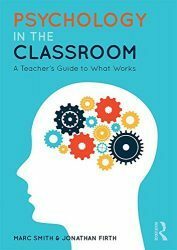 However, don’t expect too many concrete answers; neuroscience is a developing discipline and we still know very little about how to successfully apply the research to the classroom, despite what some might claim. Paul Kelley was doing evidence-informed education long before it became fashionable. As head teacher at Monkseaton High School, Kelley partnered up with neuroscientist Russell Foster in an attempt to disseminate the latest research findings and try to implement them at Monkseaton. From later start times in order to accommodate teenagers circadian rhythms and the use of ‘spaced-learning’ to embed knowledge, to architectural design and the use of technology, Kelley turned his school into a laboratory in order to test the findings from the latest research, despite considerable opposition at times. Making Minds represents Kelley’s vision of a system based on evidence and free from the shackles of government interference. Agree with him or not, he remains one of the early pioneers of a movement that has been gaining ground ever since. Martin is Professor of Educational Psychology at the University of New South Wales, a prolific researcher and responsible (along with Herbert Marsh) with coining the term ‘academic buoyancy’. Building Classroom Success looks at the construct known as academic self-concept and how students’ desire to avoid failure is deeply rooted in the way in which they view themselves as learners. With a wealth of practical information from destructive self-handicapping to using personal best goals to enhance motivation, this is the only book on my list that doesn’t include details of research, even though everything in it is based on Martin’s own extensive research catalogue.